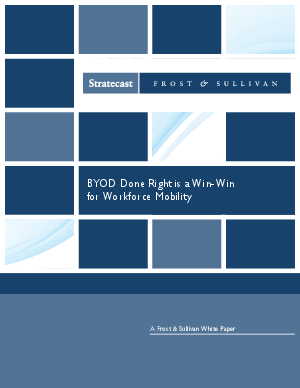 The benefits of a mobile-enabled workforce are undeniable and far-reaching. For business owners, increasing operational and business velocity is no longer bounded by time and location. The benefits of mobility in unleashing innovation extend to employees, as well, in maximizing their productivity wherever they may be and in balancing their personal and work lives.